There wasn't a whole lot going on today which was different to Friday. 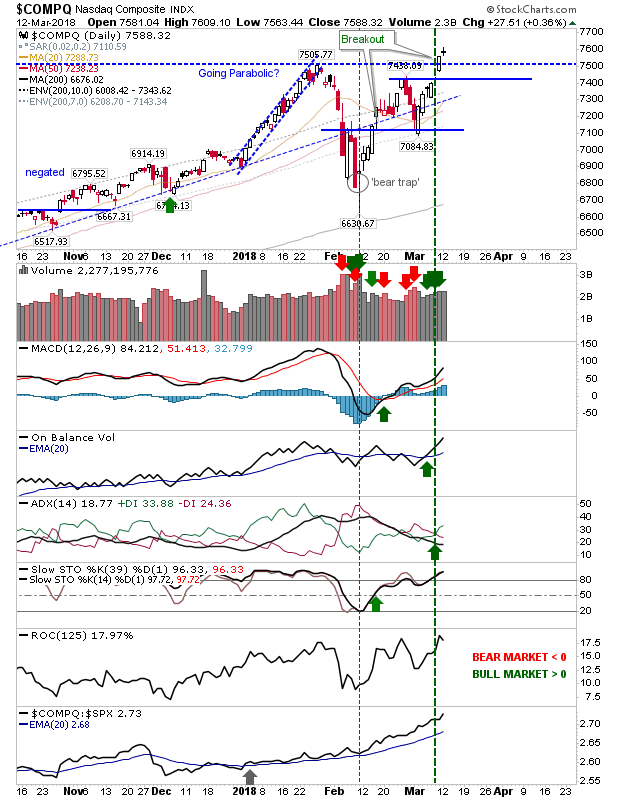 Breakouts in the Nasdaq, Nasdaq 100 and Semiconductor Index remain in effect while the Dow Jones Industrial average took an early hit in profit taking but on lighter volume. Relative performance remains particularly ugly. 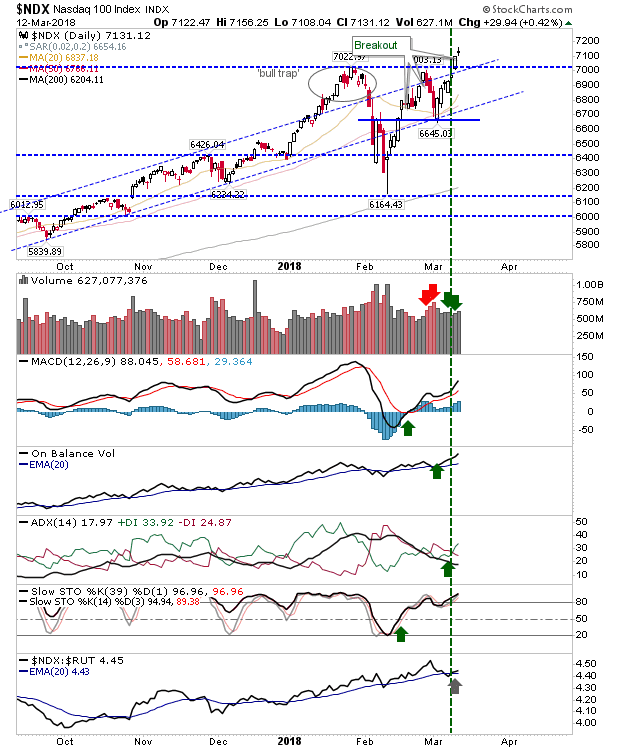 The Semiconductor Index, Nasdaq and Nasdaq 100 all finished with a spinning doji which maintained the status quo without threatening the breakouts. 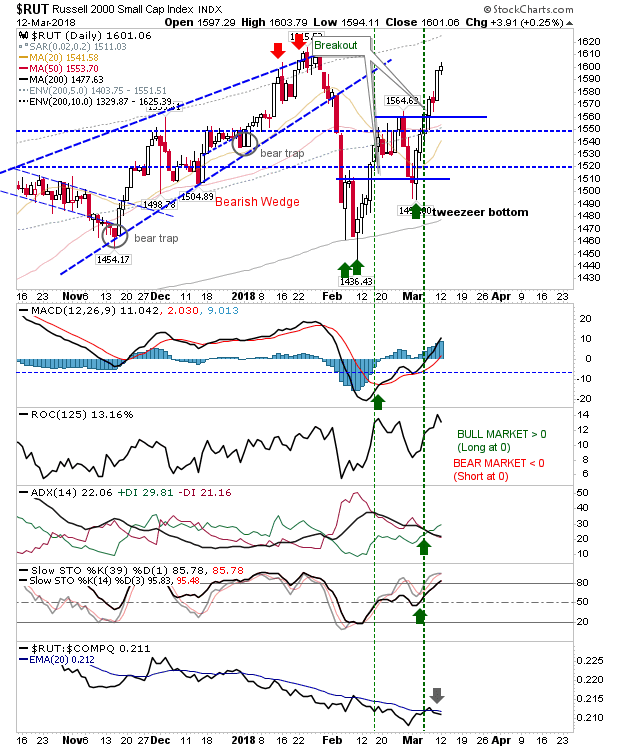 The Russell 2000 performed well as it looks to make it back to the last swing high. 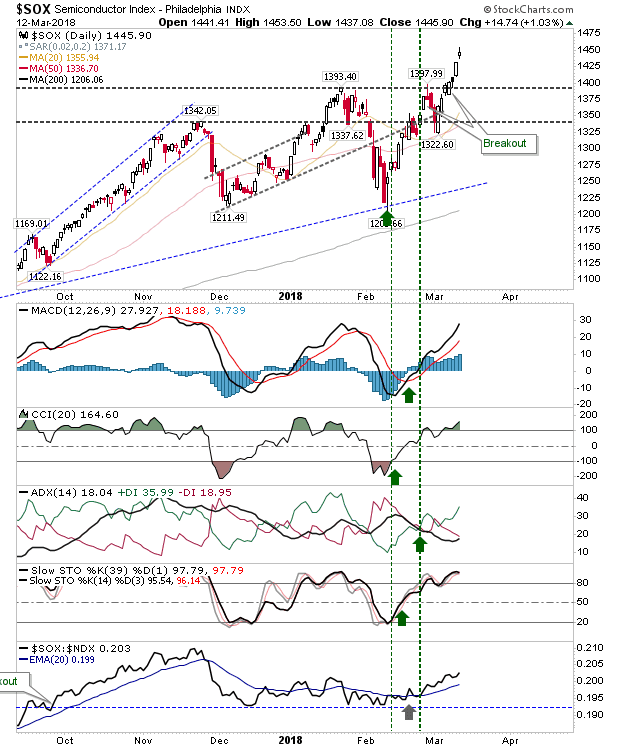 There is plenty of wiggle room to protect the break of the February swing high. 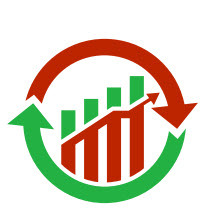 For tomorrow, traders will be looking for more of the same. 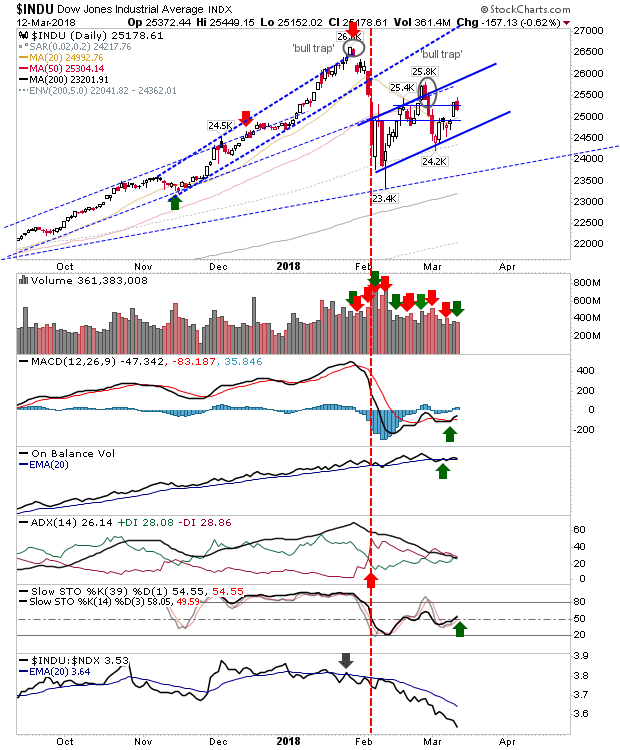 Shorts can probably get more aggressive with the Dow but wannabe longs will need to wait for a pullback in Tech indices to get their opportunity.